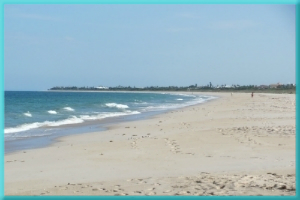 If you're looking for Florida beaches be sure and check out the many Vero Beach Resorts. Be sure and look at the smaller hotels and resorts in the Vero Beach area and give us a good look at the Sea Spray Inn. Although most people look to the Gulf side of the state when you're looking at Florida beaches you really need to give the other side of the state on the Atlantic a fair shake. When you begin planning your Florida vacation there are a lot of factors to weigh. Most people are not looking for a central Florida type of experience unless they are planning on going to Disney World. We are assuming, of course, that you will want to be near a beach in Florida. What kind of beach experience do you want if you want a beach vacation? The differences between the Gulf of Mexico and the Atlantic Ocean are quite large. You also need to decide how much you want to spend. We will go over some of these beach vacation factors in this article. With all these factors to consider you're left with is the Treasure Coast region some areas of the Space Coast and the St. Augustine and Jacksonville areas. Let's look at each of these and see what they have to offer. The Treasure Coast is the area between what they call the Space Coast which is where Melbourne and the Kennedy space Center are located and the West Palm Beach area which is where the crowds really get thick. The Treasure Coast region does not have the crowds of any of these other areas and is quite a bit less crowded than Melbourne. The Melbourne area gets a lot of overflow from the Orlando region which is an extremely large metropolitan area. Another great thing about the Treasure Coast area and Vero Beach in particular is that the water can be the tropical blue of South Florida although it is not that way at all times. Moving north from the Treasure Coast you come to the Space Coast which is the area from Palm city to Melbourne and Cocoa Beach. You cannot count the Kennedy Space Center area because that is off limits to the public. Here the beaches are more crowded than Vero Beach area but still enjoyable. Now the water here does not generally get tropical blue that you get a little further south. It does happen just not very often. Once you move north from the Space Coast, however, it's a rare to have nice blue water. Now St. Augustine is an interesting place to visit and has a lot of history, being the oldest city in the country. The beaches are not quite as nice but they definitely are still more beach than the Gulf of Mexico. Of course I'm basing that on the fact that there are waves here which you rarely have in the Gulf of Mexico. The water here is probably 5° cooler than the Treasure Coast area and does not have that tropical blue color. North of St. Augustine you have Jacksonville. Now you're next to a very large metropolitan area and the beaches can get quite crowded. Still nothing like they do down in the Tampa Bay region but crowds are definitely part of the environment in the Jacksonville area. 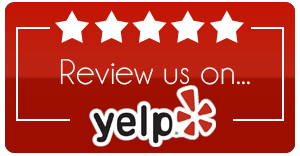 Of course we're little biased here at the Sea Spray Inn, seeing that were located in the Treasure Coast region. And why did we settle here? Because we like the weather throughout the year, the water can be that beautiful tropical blue, we have waves and our Florida beaches are some of the best in the state. 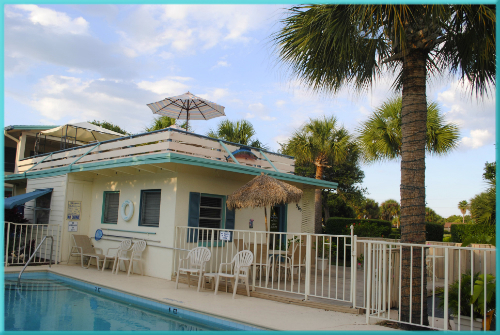 We are on the smaller side of the Vero Beach Resorts in the area and you'll feel right at home at the Sea Spray Inn.